Greyfriars Hall seeks to reform Christian higher education biblically from top to bottom—from its academic vision and curricula to the testimony of its faculty and students. Greyfriars Hall seeks to recover true academic freedom, that is, submission to God’s Word in all our actions and attitudes in and out of the classroom. Greyfriars Hall employs the New Saint Andrews College Code of Conduct to nurture a healthy Christian academic environment characterized by the zealous pursuit of biblical knowledge and wisdom. Our hope is that students will follow God’s law without being legalistic and exercise their Christian liberties without being worldly. The Code of Conduct reflects Scripture’s warning that it is folly to strain against the protective fence of God’s law just to see how close one can get to sin without getting burned (Prov. 14:9; 16:17; 28:7, 10). The Code also expresses the faculty and staff’s hope of working with students who delight in the freedom found within Christ’s vast domain safely encompassed by God’s holy law (Ps. 119:97–112). Greyfriars Hall students are expected to commit themselves to personal holiness, sound doctrine, cultural reformation, and academic integrity. By their attendance, students are joining the faculty and staff in submitting themselves to the Scripture’s clear standards for all our labors together as a community of Christian scholars. This commitment should encourage more mature students in their maturity and stimulate the less mature to grow in faith, wisdom, and self-control. While the Code provides for the discipline of those who willfully violate its letter or spirit, Greyfriars Hall hopes that the biblical principles embodied in the Code of Conduct will inspire all students toward greater obedience, self-discipline, and Christian love. Greyfriars Hall encourages students to cultivate with all diligence the fruit of the Spirit: love, joy, peace, patience, gentleness, goodness, faithfulness, meekness, and self-control (Gal. 5:22–23; Eph. 5:8–21). As holy and loved children of God, students should clothe themselves with compassion, kindness, humility, forgiveness, and most of all, brotherly love, and do everything, whether in word or deed, in the name of the Lord Jesus with thanksgiving (Col. 3:12–17). Greyfriars Hall provides no lists of extrabiblical rules for students to follow that would foster legalism or pietism. Rather, Greyfriars Hall expects students to live quiet and peaceable lives, devoted to the Word of God as their only ultimate rule for faith and practice, and to submit themselves fully and respectfully to all lawful familial, academic, ecclesiastical, and civil authorities. Greyfriars Hall expects that students will regularly worship God with the assembled saints of His church (Ps. 95:6–7; Heb. 10:25), pray with praise, confession, thanksgiving, and petitions to our Heavenly Father (Matt. 6:9– 13; 1 Thess. 5:17), read and submit to God’s Word (Ps. 119:89–112), and encourage their fellow students to pursue peace, godliness, and reverence (1 Tim. 2:1–4). Students should exercise their Christian liberties not as an occasion to indulge the flesh, but to serve others out of love through the wise and moderate exercise of their liberty (Gal. 5:13–14; 1 Peter 2:13–16). By God’s grace and through the church’s instruction and discipline, students should abstain from the works of the flesh, such as sexual immorality, idolatry, hatred, discord, jealousy, wrath, selfish ambition, drunkenness, or debauchery, and to flee all temptations to those sins (Gal. 5:19–21, 24, 26; Eph. 5:3–7). Greyfriars Hall encourages students to study carefully the Scriptures, as their only ultimate rule of faith and life, on all matters of doctrine. Greyfriars’ Hall expects students to commit themselves to sound doctrine, to be members of a faithful, confessionally orthodox Christian church, to seek out the same in the Moscow area, and to attend it regularly while a student of Greyfriars Hall. Students at Greyfriars Hall will study the great historic Christian creeds, confessions, and councils, and the great theological debates in Church history. Greyfriars Hall does not expect students to arrive with a thorough understanding of doctrine and theology, but it encourages free and open discussion and debate on these matters within the framework of our common Christian faith. Greyfriars Hall students are not required to pledge their assent to any particular orthodox creed or confession within the wide realm of the historic Christian faith, and Greyfriars Hall will not require students to violate their consciences with regard to Christian doctrine. However, students should abstain from actively promoting doctrines contrary to the Reformed mission and goals of Greyfriars Hall. 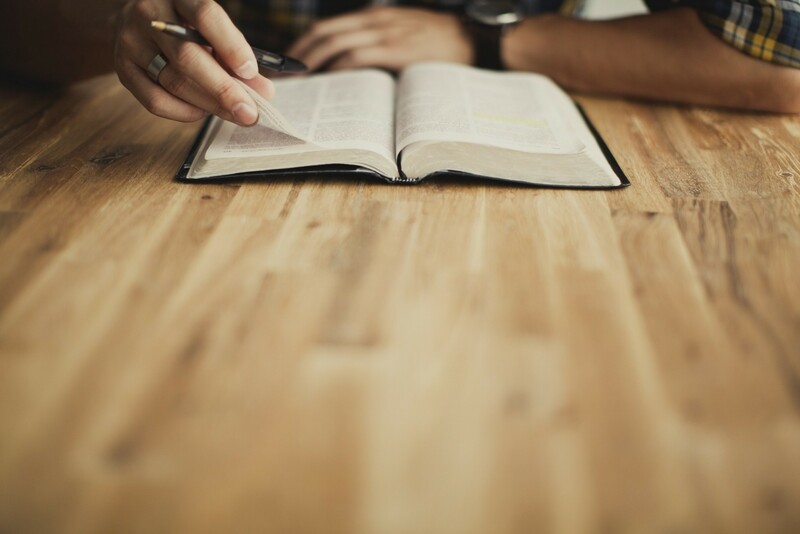 All students, regardless of their personal creed or confession, must pledge to maintain a teachable spirit while they are instructed in the Reformed faith by faculty confessionally committed to Reformed theology. Greyfriars Hall also warns students, for the protection of their souls and the peace of Greyfriars Hall, to avoid false teaching and errant doctrine. Greyfriars’ Hall expects students will neither embrace nor promote, formally or informally, historic or contemporary doctrinal errors, such as Arianism, Socinianism, Pelagianism, Skepticism, Feminism, Pantelism, the so-called Openness of God Theology, etc., among their fellow students. If students do come to embrace such errant doctrines personally, they promise by their signed pledge to inform Greyfriars Hall administration immediately and honestly in a letter offering to withdraw from Greyfriars Hall. Greyfriars Hall encourages students to diligently maintain and to encourage habits becoming faithful Christian young men: hard work; thankfulness; promptness; neatness; respectfulness; honesty; maturity; and self-discipline. Greyfriars Hall expects students will cultivate holy and edifying social relationships with their fellow students and with Greyfriars Hall faculty and staff, avoiding even the appearance of unruly behavior, inappropriate conduct, disrespect, rebellion, or sinful and unlawful activities commonly associated with ungodly students (e.g., drunkenness, sexual sins, illegal drug use, etc.). Students should embrace and encourage the development of distinctively Christian music, art, literature, poetry, drama, and crafts. Greyfriars Hall expects students to participate cautiously and critically in our predominantly pagan popular culture, and to avoid and to repudiate the culturally destructive (but often “socially acceptable”) glorification of sin found in contemporary films, music, video games, web sites, and so forth. Greyfriars Hall expects students to exercise proper manners and social graces, as befit Christian gentlemen and ladies, and so treat others with dignity and respect, especially those to whom honor is due. Students should present themselves in public in such a way that considers the comfort and ease of others more important than their own. Greyfriars Hall expects students to be well groomed and clean, to dress neatly and modestly, and to present themselves in a manner appropriate for the dignity of the occasion. Greyfriars Hall expects students to express themselves truthfully and honestly in all facets of their academic work and personal relations with Greyfriars Hall faculty, staff, and students. Students must do their own work, and their work alone, on all assignments, exercises, and examinations, oral or written, except where disclosed properly and fully in citations, footnotes, endnotes, bibliographies, and or other appropriate forms, and only within the limits allowed by the instructor and commonly recognized academic standards. Students must avoid plagiarism, misrepresentation, misappropriation of the work of others, or any other form of academic dishonesty, whether intentional or the result of reckless disregard for academic integrity (see “Plagiarism” in Kate L. Turabian, A Manual for Writers, sixth edition, p. 74 [5.2]). Such academic dishonesty may be grounds for disciplinary action by the instructor and Greyfriars Hall administration up to and including dismissal from Greyfriars Hall. Greyfriars Hall expects students neither to give nor to receive any assistance on their assignments, exercises, or examinations, oral or written, beyond that allowed by their instructor.